It may not exactly follow the plot of Atlantis: The Lost Empire, but it's still pretty dope. 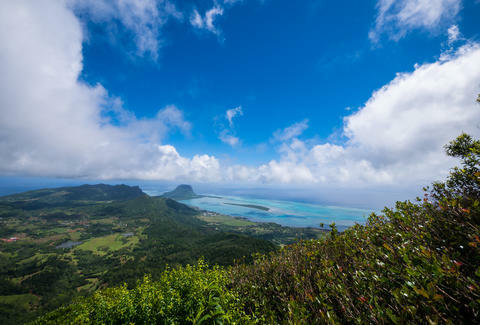 Scientists have found fragments of an ancient sunken continent beneath the African island Mauritius in the Indian Ocean, according to a paper published in Nature Communications. The discovery owes it all to the study of minerals in rocks that were spit up in volcanic eruptions. The rock contained a mineral called zircon which was dated at 3 billion years old. By contrast, the island of Mauritius is much younger, and was formed as a result of volcanic eruptions that started just 9 million years ago. On the geological time scale, what science considers "old" and "young" is a matter of degrees. "The fact that we have found zircons of this age proves that there are much older crustal materials under Mauritius that could only have originated from a continent," explains Prof. Lewis D. Ashwal, the author of the study, in a Wits University writeup. To give you an idea of the kind of timelines we're working with here, a 4.4 billion-year-old zircon crystal found on a sheep ranch in western Australia was recently dated as the oldest piece of Earth we could find. Finding an island rock aged to that order of magnitude means a continent had to exist there that we no longer know about. "On the continents you find rocks that are over four billion years old, but you find nothing like that in the oceans, as this is where new rocks are formed," Ashwal says. This wasn't the first hint of a secret, tropical time-buried lost continent though. A 2013 study identified ancient zircon crystals in beach sand, but several scientists dismissed it at the time as wind-blown or otherwise displaced specimens. This latest study found them buried under (less-ancient) lava, which Ashwal says confirms the existence of a lost continent he's calling "Mauritia." All the zircon crystals won't reveal any trace of civilization, of course, no matter how cool and comic-booky their name sounds. The earliest human ancestors only showed up between 5 and 7 million years ago. Compared to rest of this mudball, we're still babies.